More than 28 lakh candidates will appear for CBSE class 10 and 12 board exams tomorrow, a board official said today. New Delhi: More than 28 lakh candidates will appear for CBSE class 10 and 12 examinations from tomorrow, a board official said today. A total of 16,38,428 candidates have registered for class 10 examination, and11,86,306 candidates have registered for class 12 examination. 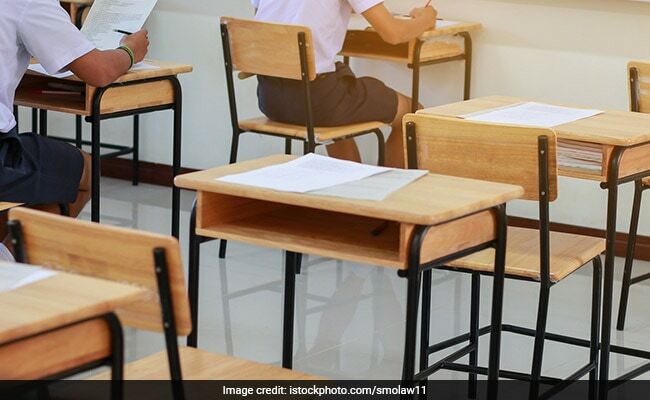 After 7 years, the class 10 board exam has been reintroduced from this year after the government decided to do away with the Comprehensive and Continuous Evaluation (CCE) adopted earlier. The exam will be conducted at 4,453 centres across India and 78 centres outside India. Similarly, for class 12, the exam will be held at 4,138 centres in India and 71 centres abroad. "The board has made appropriate arrangements with state authorities and local police to ensure trouble free examinations throughout the country," the CBSE official said. From this year, CBSE is also allowing candidates with special needs to write their exams using laptops but their device will have to undergo an inspection by the computer teacher at the exam centre and no Internet access will be allowed. A total of 4,510 and 2,846 differently-abled candidates have registered for class 10 and 12 examinations respectively. In another development, CBSE has decided to relax pass mark criteria for Class 10 students, this year only. According to a notification from the Board, it has decided to implement overall 33% pass mark criteria for this batch of students only. As a 'one time measure' for the candidates of this batch, the Board has decided to revise the pass marks as this batch is from a different assessment background while they were in class 9. As per the new relaxation in order to pass, a student has to secure total 33% (internal assessment and board exam marks, taken together) in the board exam 2018.